One of our clients Cargoes Cafe based just on up the Lisburn Road came to us with a little idea they hoped we could make reality. â€œWe need something to promote our Valentines Day menu, but its for 1 day only, so we canâ€™t break the bank on this projectâ€ ^^^^might not exactly be what was said, but it was very similar. Nuala came up with the design you see above, a foamex panel, laid with vinyl and trimmed into a heart shape. The project in itself creates a huge impact in store, but as an added benefit, the foamex if put away safely can be used year after year and so the initial cost can be attributed over many Valentines nights and not just one. 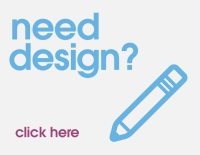 While many printers in Belfast are happy to take your projects and your money, we want to make sure you get the most impactful marketing tools at the right price. If that means making an item reusable, then weâ€™ll certainly factor this into our designs and production elements. With a little bit of care, the team at Cargoes will be able to use this shaped foamex heart year on year and capitalise on the opportunity of marketing to the Valentines customers. On a side note, has anyone else noticed the anti-Valentine marketing train of thought that seems to be popular this year. From singles nights to flat out anti-valentines promotions, weâ€™ve seen a lot of businesses including pubs, clubs and restaurants take a very different approach with their marketing this year. Iâ€™m not sure if itâ€™s a trend Iâ€™ve missed previously, but definitely many are partaking in this individual way of looking at new opportunities for annual holidays. Great idea. 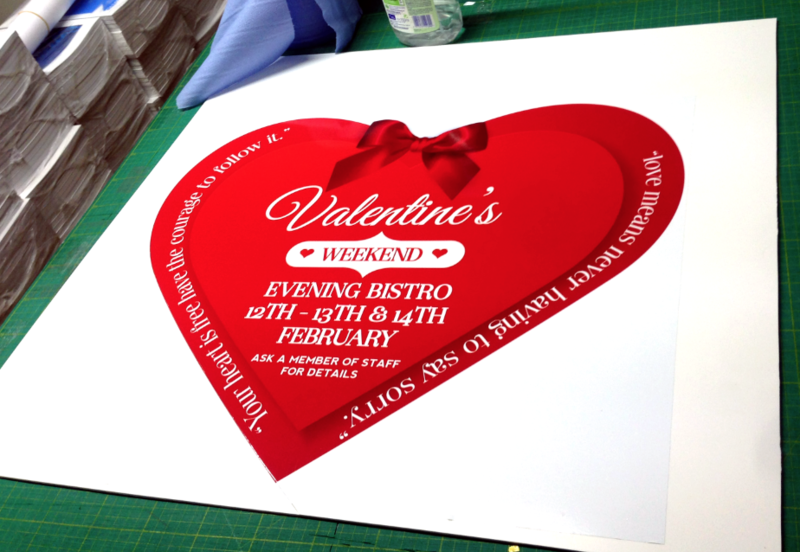 If you need any last minute Valentines Day menus or marketing materials, weâ€™re always the guys to help. Get in touch on 028 9002 2474 or visit the Contact us page. Weâ€™ll get right back to you.